CIOsynergy, a provider of thought leading conferences, today announced that Terry Jones, founder of Travelocity.com will be the keynote speaker at the directIT event at The Hyatt Regency Reunion hotel in Dallas, on Thursday April 5th 2012. As founder of Travelocity.com, chairman of Kayak.com, and Chief Information Officer at American Airlines/Sabre, Terry Jones will speak from a vast, and performance driven track record of leading companies. In the 70’s, Terry Jones helped create one the of the fastest growing business travel companies ever formed. For over 20 years, Terry led product development, programming and operations at American Airlines SABRE, the computer system that became a Harvard case study on automating your customers. 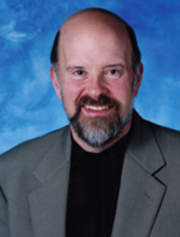 In 1996, he founded Travelocity.com which became a multi-billion dollar public company. As the chairman of Kayak.com, he has helped transform the travel site to the size of Priceline. For more information about or to participate in directIT Dallas please visit: http://www.ciosynergy.com or contact Araceli Delgado project coordinator at aracelid@ciosynergy.com or 847.278.2213 ext. 899.